Get Moving! October is National Chiropractic Health Month. “Move 4 Life” to improve and maintain your musculoskeletal and overall health. Move more now so you will be able to move better later and avoid chronic and painful conditions associated with sedentary lifestyles. Movement is vitally important to overall health. Physical activity not only helps reduce the risk of cardiovascular disease, Type 2 diabetes and even some cancers, it also strengthens our bones and muscles. As we age, the health of our bones and muscles — also known as our musculoskeletal system — is especially important in reducing the frequency and severity of back pain as well as preventing falls and other injuries that can lead to disability and limit our ability to engage in work and other daily activities. For these reasons, it’s essential to move now, to move later, to move for life and to stay healthy, strong, active and engaged. Back pain remains one of the most prevalent and disabling conditions worldwide. It is one of the most common reasons that patients visit their doctors, and one of the most common conditions for which doctors prescribe opioid pain medications. 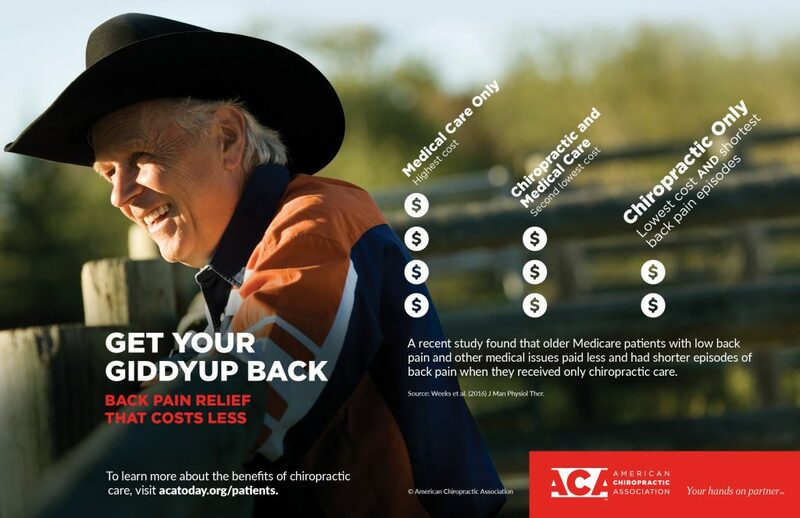 Since the overuse and abuse of prescription opioid painkillers in the United States remains a top public health problem, it’s essential for health care consumers and providers to understand that spinal manipulation and other conservative approaches can get you moving by treating musculoskeletal conditions such as low back pain safely and effectively.